You can catch a slice of boardwalk nostalgia while cuddling up at home Tuesday night, escaping the cold. Delicious Destinations, a show on the Travel Channel, filmed on the boardwalk in August, hunting down some great pizza and boardwalk food – and the episode taped in Seaside Heights is set to air Tuesday night. 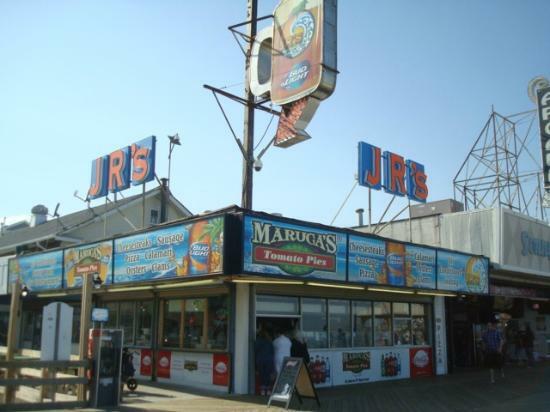 The episode takes a look at local flavors, including the boardwalk staple Maruca’s Tomato Pies, as well as cheesesteaks and saltwater taffy. The episode airs at 9:30 p.m. on the Travel Channel (Optimum channel 96; Comcast of Ocean County channel 840).